So here is something to strike off the longest list ever. Get rid of curtains, wardrobes, bed and purple rug. 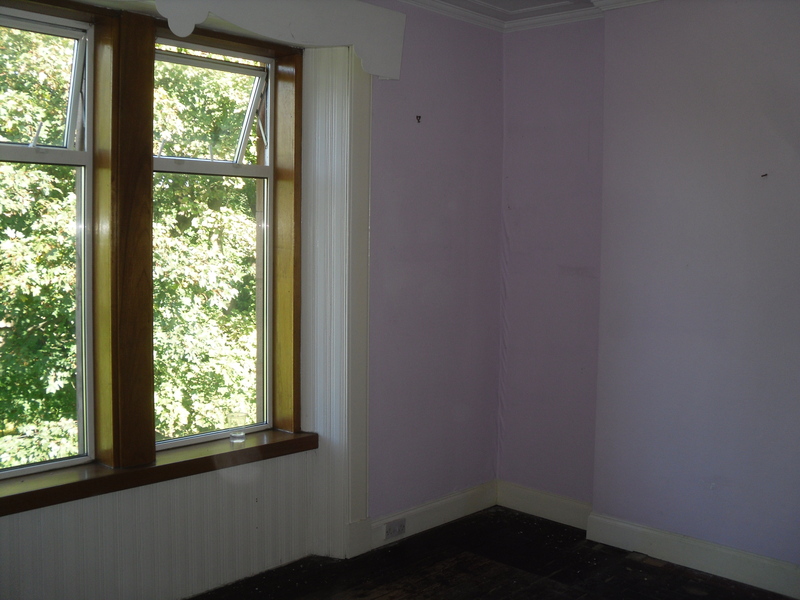 Remove wallpaper on walls and replaster. 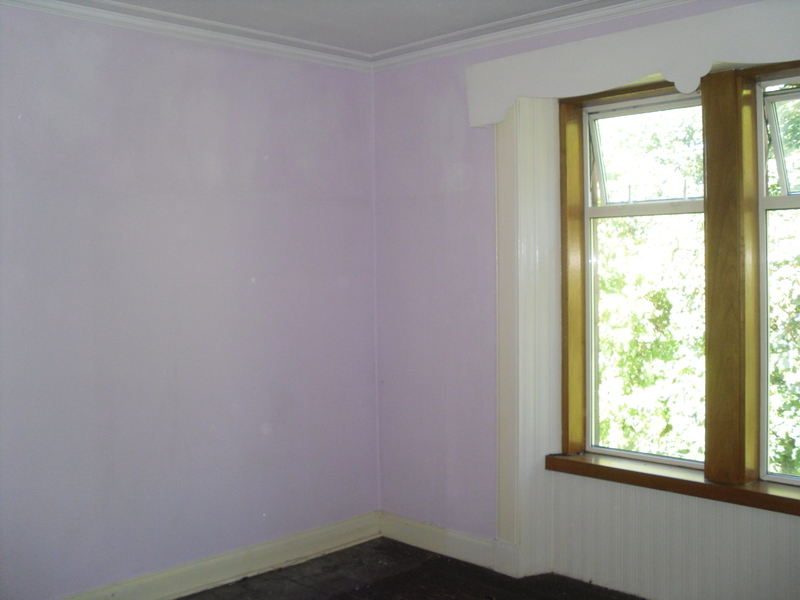 Remove woodchip wallpaper on ceiling and replaster. Sand and varnish the floorboards. 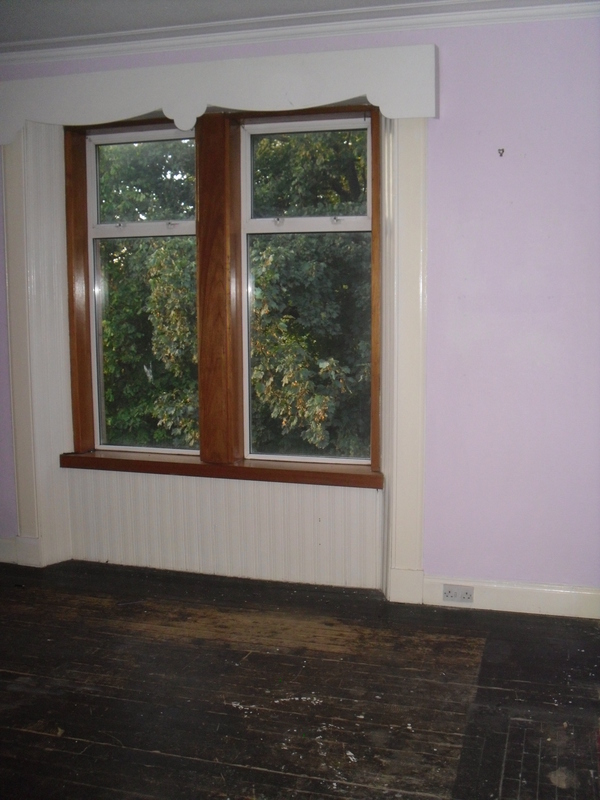 Paint walls, ceilings and skirting boards. Just all the rest to-do then! The house was built in 1904 – its funny you should ask as my brother Isaac mentioned we should do a post on that! Will get one up over the next few days. Its so lovely that you are reading – thanks for stopping by.